We are about to say hello to 2011 and today I'm chilling at home, enjoying a cuppa hot steaming coffee, writing this blog while listening to the "Codename: Kids Next Door" my little star is watching on tele. Overall, I'm pretty happy with the number my team and I churn this year. They have worked hard and the result shows. The thing with sales and marketing is, it's a never ending climb. You have a target to reach and when you touched the top, you found yourself at the foot of the hill ready to start climbing again. We let loose in December and hit some bowling pins last Friday. The team won big time, leaving the technical department biting our dusts so to speak. But we leave it at that and set our gear for the new year that's coming in 6 days. 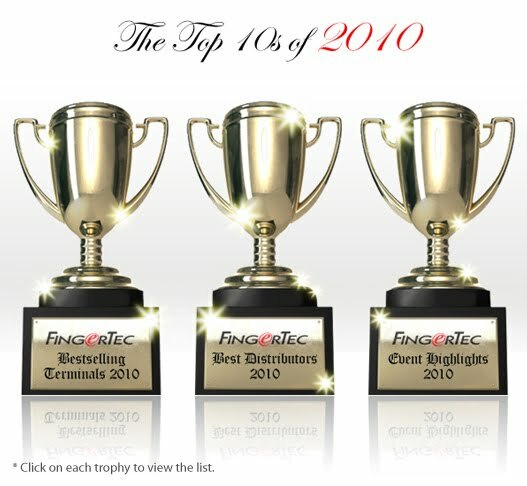 2011 is indeed a brand new year but FingerTec will certainly be the same, providing our customers with convenience and finding ways to make things easy for everybody. Some people love complexity, me on the other hand is a fan of simplicity. I think simplicity rocks. I'd like to quote Edward de Bono who said that simplicity is easy to learn and to use. 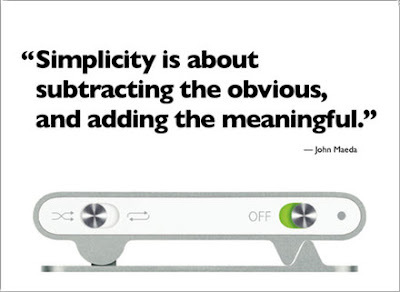 People are usually frightened by simplicity because it threatens the complexity of which it is their job to explain. I couldn't agree more. My high school math teacher told us to use the simplest calculation in math, if you could spoon a food straight to your mouth, why do you want to twist your arm to the back of your head to spoon the food into your mouth. Get what I mean? By the way, grab "Teach Yourself To Think", a pretty good self-development book, i'd say. By being simple as well, we are reaching a larger audience rather than the select few who have grade A brains. Being simple does not mean we neglect attention to details. Being simple means to explain things in the best possible manner to reach the largest audience possible. Therefore, it has become our collective efforts to make things easy for our clients from all aspects of the business. Our job is not to test IQs instead whatever resources we provide we must ENRICH and ASSIST our clients the world over to the best of our ability. Next year also marks the beginning of our effort to apply simplicity in our operation and saving the world in the process. We have gone back and forth in this issue and it's time that we put our foot down and stress on the importance of simplicity and conservation. I'm excited to what's in store for us in 2011 and I have my high hopes that FingerTec will thrive as a brand that cares. 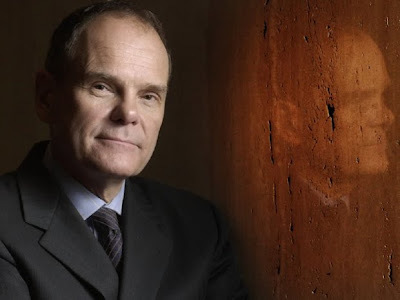 The Internet Guru, Don Tapscott has published a new book Macrowikinomics in 2010; it is not really a sequel to his previous book, Wikinomics that was published four years ago, it is a continuous observation for an expansion trend of the mass collaboration. 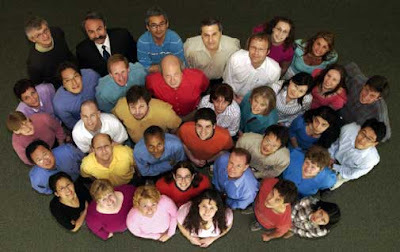 The term Mass Collaboration, popularized by Tapcott in his book Wikinomics is defined in Wikipedia (one of the most successful projects of mass collaboration, where the Wiki-nomics get its name) as a form of collective actions that occur when large numbers of people work independently on a single project, often modular in its nature. 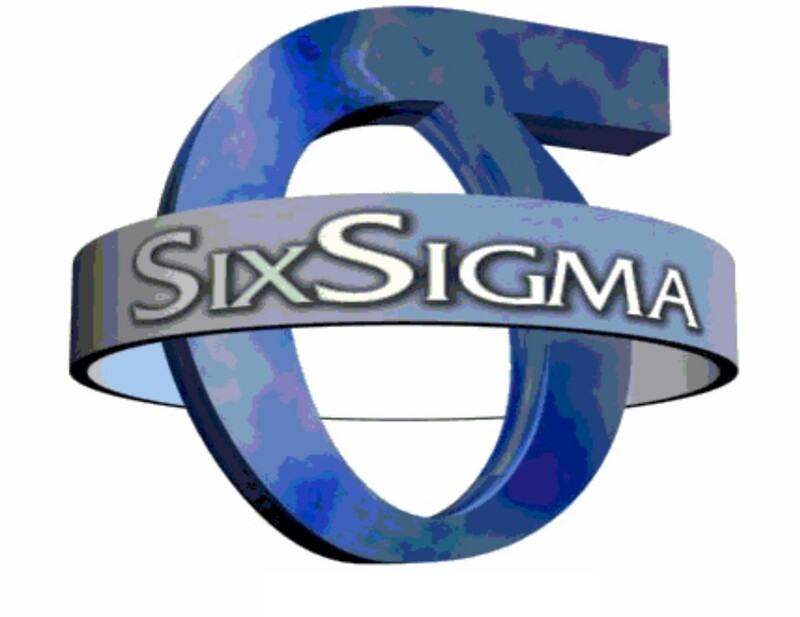 Such projects typically take place on the internet using social software and computer-supported collaboration tools such as wiki technologies, which provide a potentially infinite hypertextual substrate within which the collaboration may be situated. And, in the four years of penning the idea, the author observes that the wikinomics has gone beyond a business or technology trend to become a more encompassing societal shift. He says, wikinomics, defined as the art and science of mass collaboration in business, becomes macrowikinomics; the application of wikinomics and its core principles to society and all of its institutions. Just as millions have contributed to Wikipedia – and thousands still make ongoing contributions to large-scale collaborations like Linux and the human genome project, he urges, why not open-source government, education, science, the production of energy, and even health care? I believe these are not idle fantasies, but real opportunities that the new world of macrowikinomics makes possible. But, just as the macroeconomics reduces its size to economics, and further down to microeconomics, I would like to scale down Tapscott’s macrowikinomics idea to microwikinomics, where mass collaboration does not only apply to those “think big” projects, but to be adopted in a lot smaller communities. Just like most of the countries, their economies are not driven by a handful of conglomerates; but by the vast number of SMEs (small and medium enterprises), whom are commonly facing the scarce-of-resources problem, the concept of mass collaboration should be strongly promoted in this community. I actually promote the same concept here within the FingerTec context. 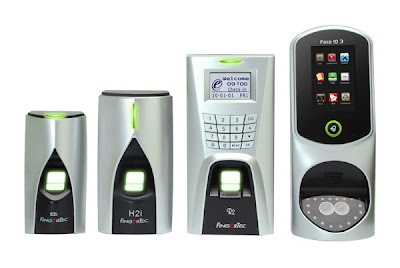 Buying and selling of FingerTec products is merely a business activity, to reach the state of mass collaboration, we anticipate resellers to contribute contents to enrich our resource pool. Over the years, we have built the resource pool of the microsites, mostly on our own, only a handful of our resellers contribute marketing stories, technical tips, translates TCMS V2 software or FingerTec hardware into their local languages, and etc. And in FingerTec Distributor Guidebook, I strongly encourage distributor to tap on our resources to edit their own version of newsletter to enlarge the clout in their local market; this is also a spirit that is derived from the microwikinomics. I’m not partial to business agreements that bind each other. At FingerTec, we don’t initiate distribution agreement, because the commitment is not all defined by a simple sales figure. If some distributors or resellers continuously contribute to enrich our resource pool, they are like family members to us, rather than sheer business partners. Even if their sales figures are still far from satisfactory, I believe it is just a matter of time before we could observe improvements; and as a family member, we have the patience. Tapscott lists these five important elements: collaboration, openness, sharing, integrity and interdependence to ensure a successful macrowikinomics. But when I think through, it applies to FingerTec microwikinomics too. 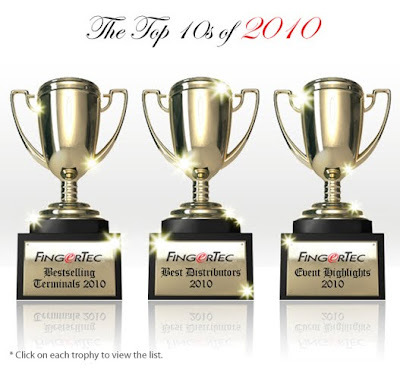 When we ranked the Top 10 Events of FingerTec in 2010 in the recent newsletter, most of them are tangibly measurable. But to me, the silent revolution that successfully took place in the company, which I couldn’t phrase it in any official milestone document should be more worthy to report. I would like to start my explanation with this idiom, If the mountain will not come to Mohammed, Mohammed must go to the mountain. It taught us if things do not change the way you want them to, you must adjust to the way they are. This is something about reverse thinking that leads to a reverse operation that yields a positive result. 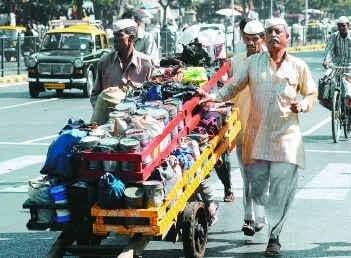 What I want to convey here is that, when you think differently, act against all odds, the pay-off might be much higher than the conventional way. The conventional and common practices that most businesses have include having sales people running around chasing customers, whereas technical guys would passively wait for customers’ calls. Could I reverse the common business practice? This would make the technical department plays a more active role, and the sales department be a little laidback and less aggressive when it comes to pursuing customers. “Less aggressive? Without a sales quota, of course your sales department is too relaxed.” One of my business friends strongly opposing me. 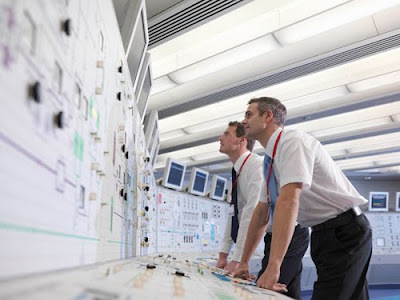 To transform supposedly passive technical guys to be more proactive was not an easy task. The silent-revolution took me quite some years. Now, our technical department has been trained to promptly respond to all technical inquiries; has to ensure the offered solutions really solve problems; has to categorize type of technical issues for further analysis; has to gather customers’ requirements for further developments; has to work closely with R&D in fixing software bugs; has to compile technical tips for monthly newsletter; has to provide assistance in producing user and technical video clips; has to maintain two technical microsites, and help in another six; has to repair hardwares and, all in all, has to upgrade the service quality from time to time to a higher customer care level, rather than to stay merely at the problem-solving stage. When I slowly reversed the business strategies and operations in 2005, it naturally occurred to me that this should be the right way for any ethical business practice, not the familiar one that has long been distorted by the shortsighted businessmen. By reversing the priority, it seems a lot easier for us to build a satisfied and devoted customer base. And instead of trying hard to look for new customers, we often attracted them to come to us. The sales figure grew by 575% in the past six years (95.8% per annum in average) proved that my strategy was working fine and it matches well with the Blue Ocean Strategy that promotes “demand is created rather than fought over”. 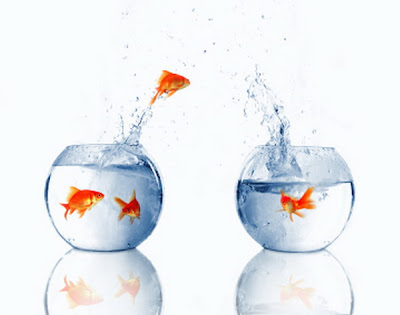 The cornerstone of Blue Ocean Strategy is “value innovation”. A blue ocean is created when a company achieves value innovation that creates value simultaneously for both customer and the company. Yes, the mountain finally came to us. 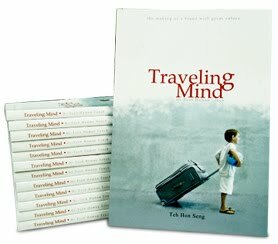 Traveling Mind: Have you got a copy yet? I write for a living. I'm not a writer but I do write quite often. The reason is simple. Nowadays people read a lot! Before you roll your eyes, I never said books. A lot of people are surfing the Internet in search of something. Some like to do online shopping, some like to Google information, some like to view pictures, some like to find friends, and the list of virtual activities continue. Google articles, Facebook notes, Twitter links, blogs, tumblr, etc are amongst the most popular Internet reading pleasures. The pieces don't have to be thesis-worth long to gain interest; they just need to be fascinating in some sense. A tv personality said the word "Perspection" on live national tv! was seen on Twitter and the rest of the nation talked about the event where a TV personality was seen asking a Swedish astronaut, "What is your perspection about the event tonight?" The rating for that event shoot up to 3.2mil viewers. A recent news published that Malaysia ranks first for most online friends, and the trend duplicates in other countries as well. It's apparent that soft marketing in the Internet world in crucial. Soft marketing is the term used to describe when marketing your products without invading individual space or they called it marketing under the radar. To do this, writing is essential. Again, you don't have to seek your professor's approval; you just need to have good idea of what your brand is all about and not to go against your brand value. What do you see when you watch Fernando Alonso's F1 car? You see Vodafone, you see Shell. That is soft marketing. What do you see when you watch the good looking Fernando Torres trying to score for Liverpool? Standard Chartered on his chest and Adidas on his pants. Well, those are expensive marketing venues; product placement on strategic spots during airtime. Seeing Simon Cowell sip on Coke during American Idol made me crave Coke in the middle of the night. That’s soft marketing and the effect is ridiculous! I drove to the nearest 7-Evelen for a bottle of cool fizzy tasty CocaCola. How do we do it at a lesser cost? Spend some time to write and publish it regularly on strategic spots. Most business websites that I stumbled upon have very stiff business writings and are mostly not updated regularly. 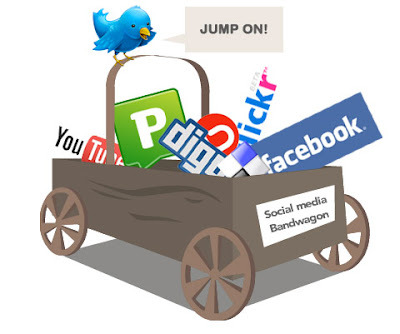 Many also make efforts to join the social media wagon but after some time, fall off of it because of decreased updates and no follow ups. The idea of newsletter is not new, people have been using it for ages but the trick is to do it regularly so that your audience is kept updated with what's going on with your brand. Companies usually have missions and visions on their websites, which mostly are cookie-cutter phrases borrowed from other business sites. Yawn! Yawn! The audience needs more than that. FingerTec's Tagline Contest on Facebook has just ended and that for us is soft-marketing. Something fun that gets the crowd to know the brand. We blog about our brand and we hope you do too. We want to tumblr as well. We create FingerTec games. And definitely we want to do more in the future. FingerTec is not a consumer product and it’s even tougher for us. Therefore, we treasure your ideas if any. 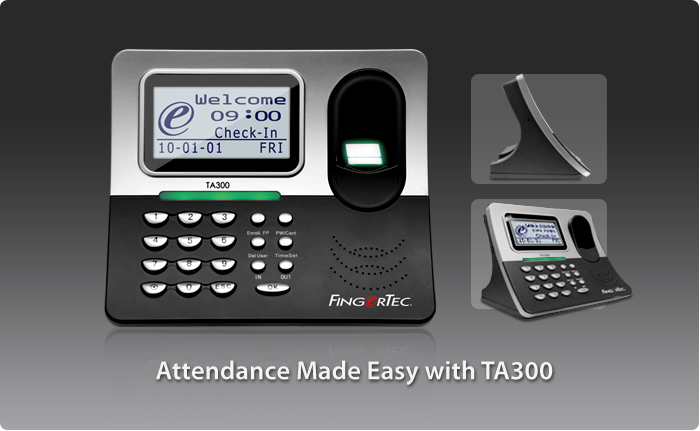 Please do contact us at editorial@fingertec.com. In the meantime, it'd be great if you could soft market FingerTec too. Thank you. The moment I thought about how to explain more on Webster in my next blog entry, a compliment letter landed on my desk. In this letter, a local client, Advance Lens Trading, appraised FingerTec technical support for the unexpected prompt replies that had solved his critical problem at a critical time, when our reseller, or his vendor, took a longer time to respond. “Yesterday we received a compliment letter from our satisfied client on our prompt technical support service, the compliment is particularly directed to Hasrie for the job well done. The management would like to congratulate Hasrie and we hope that you keep it up. In the meantime, we also hope that our FingerTec teams would make prompt replies as our standard practice at all time. Please keep in mind that a delay from our side could cost clients a significant amount of lost and our concern on their issues could save them a lot of trouble and money. This letter is a confirmation that we are doing something right but it doesn't mean that we could take a breather and relax. There is still more room for improvement to keep our promise to make things easy for our clients. I exchanged experiences with a good friend, whose company also implements Customer Relationship Management (CRM) System in their daily operations. The system is deployed merely in his sales department to improve their sales. But in FingerTec, even though our Salesforce CRM covers both sales and technical support, we prioritize technical support. As our business grows rapidly in these past 5 years, technical support is always our major concern. While most suppliers channel technical inquiries of end-customers back to their dealers, we printed a noticeable line that says, “For enquiries on technical matters, please forward the email to support@fingertec.com", in our user manual. Besides solving technical problems received from our resellers at a regular basis, we are also willing to take direct technical inquiries from end-users. By doing this, we help our resellers to shoulder some of the their support burdens, and in return we get two happier customers. And, I always want to go a step further in solving technical problems. One of the best solutions should be a direct login into the affected terminals to avoid inaccurate elaborations of problem by any non-technical end-users. This time, with web technology, we develop Webster, with three clear objectives. First, it would be a fundamental tool for customers who opt to use our web application, TimeTec. Second, it is for big corporations to enable centralization of the terminal data management in many branches in remote locations. And third, it could be used as an effective technical support tool as mentioned earlier. When a reader comes with Webster, authorized personnel can remotely talk to the machine. Therefore, authorized staff, resellers or suppliers can diagnose the machine from far away to correct some settings or to update a new firmware that is meant to fix the problems, without having to return the terminal back to us or to send any technicians to the site, if the errors are not caused by the hardware failure. I really am excited for the development of Webster, and stay tuned for the official release date. Wished that your FingerTec terminal came with a larger capacity? Well your wish is our command! 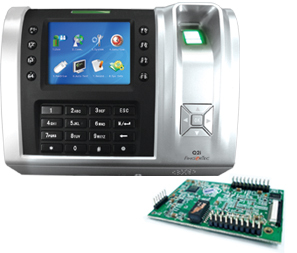 Now, all our FingerTec Terminals with colour screen and an FEM600 Coreboard comes with a heightened fingerprint template storage of 12,000 fingerprint templates (4 times the previous capacity) and 200,000 transaction logs! Complete with our TCMS software, now FingerTec solutions can be applied to bigger companies with a larger headcount without worrying about the terminal’s storage capacity. You also won’t have to perform transaction log downloads as frequent as before. And with our In-House developed software, the TCMS v2, managing these 12,000 fingerprint templates and 200,000 transaction logs will be a breeze! 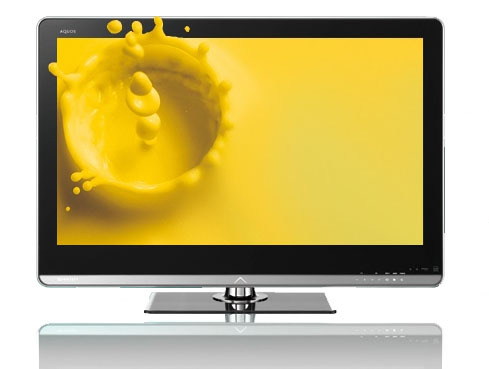 From now on, order a colour screen terminal, and you’ll be ordering a terminal with an extraordinary capacity! Social Media Tool – Like it? 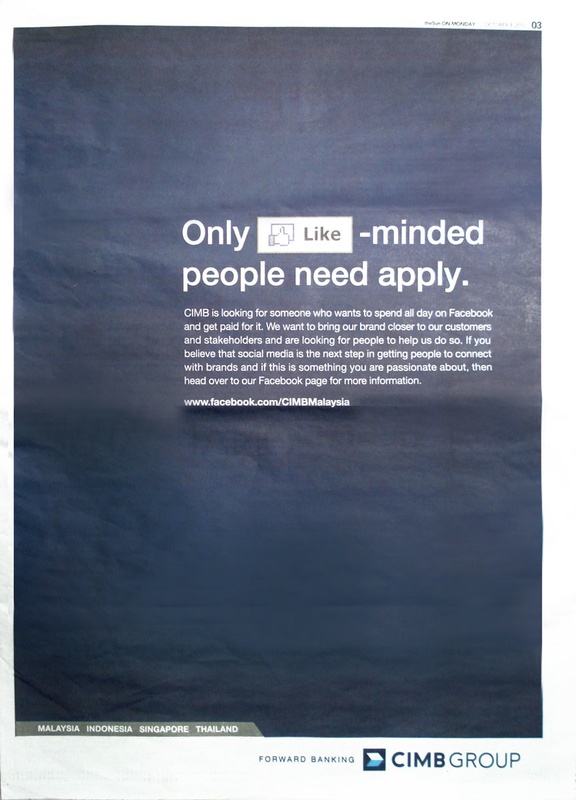 I came across this full-page recruitment ad by CIMB Bank on a daily in Malaysia, hiring someone to fill up a new position, which did not exist in the past. The position is known as a social media executive or manager or director, for some big organizations, it might even evolve into a large department. There is another interesting article, titled “Twitter, Twitter Little Stars” in Bloomberg Businessweek (July 19-July 25, 2010 issue); it is not a special report to cover Twitter, a mini blog engine, but it is intended to discuss the rising needs for corporate to include social media in their daily operation. The article quoted Felix Gillette, a media reporter’s observation, “Layoffs? Not in the social media departments of corporate America. As customers make or break brands online, companies are rushing to hire social media directors … ” Quite a number of the big brands in the market have hired social media experts. And all of them tap on the online social media tools like Facebook and Twitter, and some even include RSS, YouTube, or Flickr to build a closer tie with their customers, and some may use the social media engine as a direct marketing tool to promote their products. The change is fast happening. Today’s business has to build a better relationship and to have a more straightforward contact with the clients such as posting customers the latest news, or having their feedbacks read by the people at the top. Yes, it’s time for shopping malls to scrap the less efficient drop-off message boxes. The outbound advertising media like newspapers, TV or billboards used to be popular for advertisers to broadcast their one-way message to customers, becoming old fashion nowadays in a more interactive-demanding Internet Era. In the past, not many big organizations would want to entertain customer that has zero complaint. Survey form is circulated whenever they need to gather customer’s opinions, and Customer Service Department is set up as a formality and normally only receiving and dealing with barking customers. The arrival of Web 2.0 and Internet social media tools have changed the way we communicate. Businesses fast detected the opportunity to improve the conventional lopsided communication with customers by adopting the new wave of social media tools. Some activities (like FingerTec tagline contest) were organized within the social media sites to lure customers to “like” them in Facebook. We are not selling consumer products, but as one of the world’s leading biometrics product suppliers, we do know the important of social media tool in helping us enhancing the way we communicate with customers. It’s not hard to “like” us on Facebook, as we like to have many FingerTec customers riding the latest technology with us; “follow” us at Twitter as we also would like to follow you; and “subscribe” our video clips at YouTube, as we subscribe to improve ourselves for you.